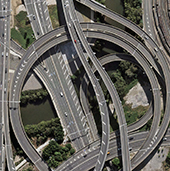 The Clem Jones Tunnel (Clem 7) is a $3.2 billion motorway toll road, tunnelled under the Brisbane River, and designed to allow improved traffic flow by bypassing Brisbane city. As part of an ongoing maintenance program, the road pavement requires regular monitoring to ensure a high-quality pavement surface for road users. Jensen Bowers has been engaged by Transurban to perform the regular road monitoring surveys, engineering detail survey, cover plate replacement surveys and data analysis using remotely located 3D high definition scanners to avoid temporary road closures and loss of toll road revenue.